Gold and silver glitter stickers instantly dress up favors and decorations at any event! 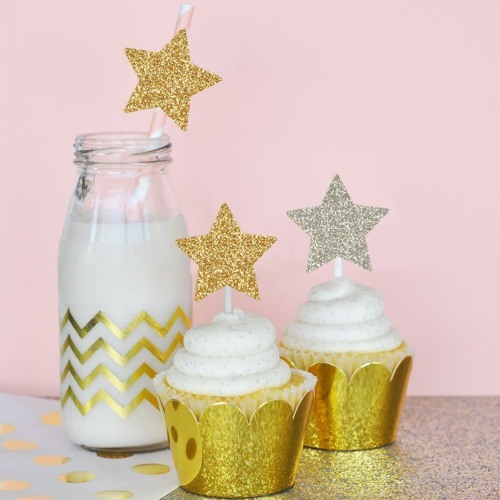 Available in characters of your choice, easily affix these glitzy stickers onto favor boxes, bottles, or cupcakes to add a hint of glamour to your event. Use to highlight a special message for guests.